CML has always been keen on developing the CML team and investing in the future. As we strongly believe that our people are the key to our success. That’s why at CML, we provide opportunities trainee and internship programs in order to foster young talents, where they usually spend two years rotating between the different departments. Not only do the students get to gain hands-on experience and knowledge, they are also exposed to a global network and have the chance to communicate and work with a multicultural team. At CML we do not only provide a job, but opportunities and careers. – Ms. Yvonne Kuhs, Marketing Executive. That is why in collaboration with the Hinrich Foundation, CML organized a visit on 28th March 2017, to one of our suppliers in order to allow the scholars to grasp a better understanding of PCBs and experience the production process and environment. Throughout the factory tour, the Hinrich scholars were fascinated, showed a lot of interest and enthusiasm. 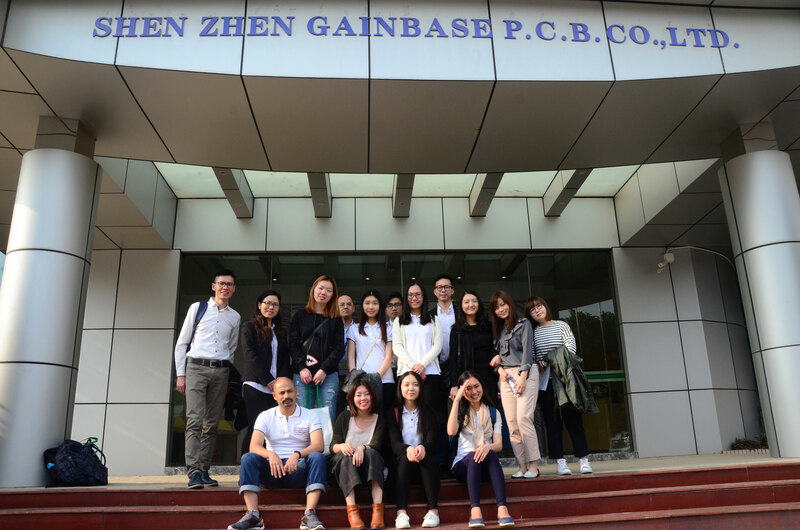 Not only did CML expose them to a tip of the PCB iceberg, they also had the opportunity to visit s.m.a.r.t., our knowledge center that provides fast & flexible production, testing & validation and training & education. – Mr. Gabish Joshi (MSc Supply Chain & Logistics Management) Hinrich Foundation scholar. Mr. Merle A. Hinrich established the Hinrich Foundation with the mission of promoting sustainable global trade. It advances its objective by supporting trade scholarships and career development, offering export trade assistance, and fostering international trade research.